Right now all you can really do is dragon-drop the items into the inventory. 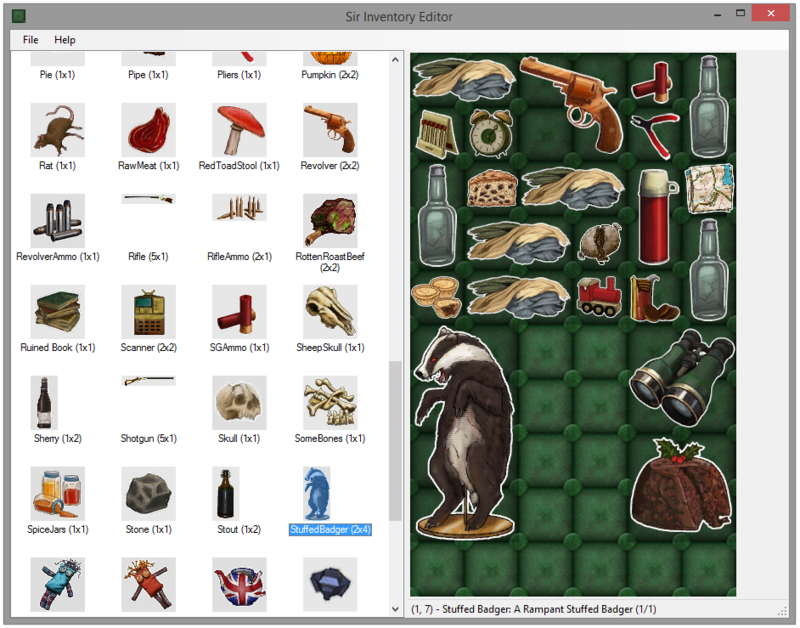 The items themselves are driven through an XML file and some pngs, so adding new items as they're made is pretty simple. I'll keep posting updates as they come. Thanks! I think it'll be cool to give people a chance to, for example, make their own starting class by saving right away and then editing their inventory. I'm not sure what makes the brown bottles brown. 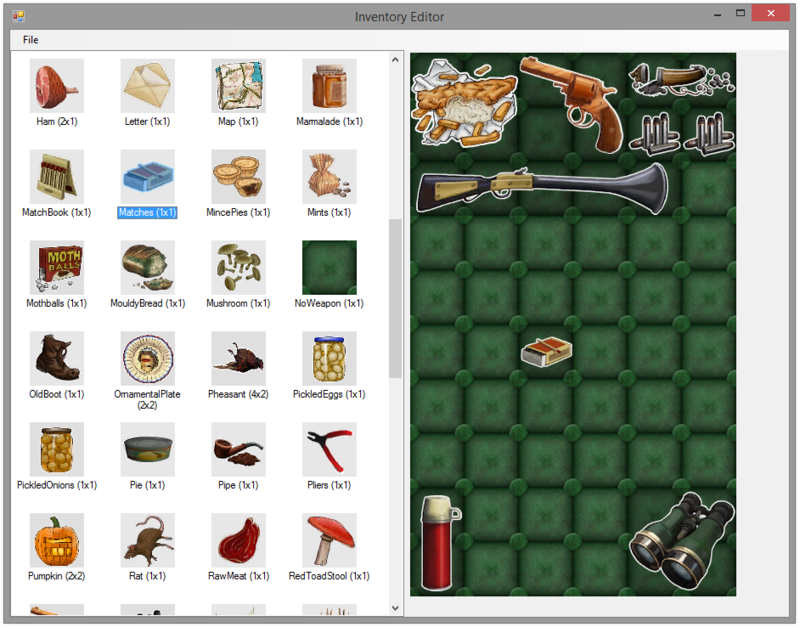 It's not anything in the inventory XML, so it must be stored somewhere else. Edit: Also, there's a BitBucket repository for the code. Feel free to use the classes for whatever. 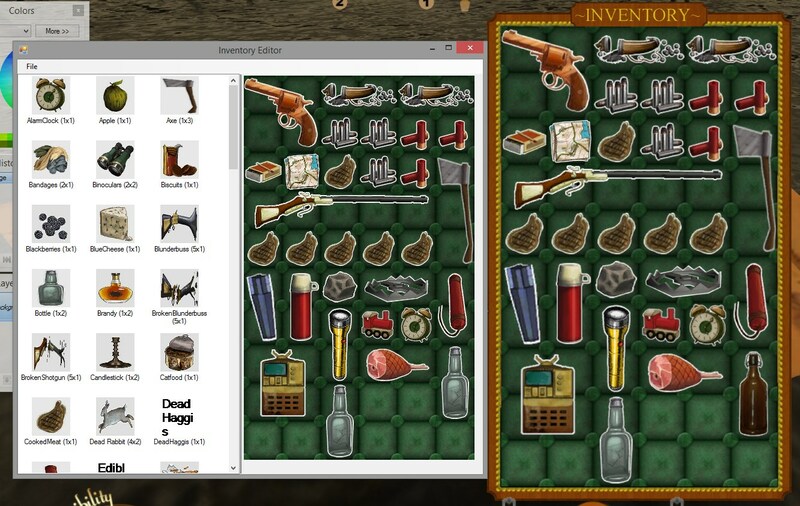 I make no claims to the code being any good, but it does manipulate the inventory items pretty easily. © Copyright 2000-2019 Cemetech & Christopher Mitchell :: Page Execution Time: 0.230004 seconds.